We all know the bicycle is the best invention since stone age man first lit a fire and rolled a wheel down the hill to celebrate. But, those who ride a bicycle are not necessarily as super-cool as they might believe. Cyclists can just be as irritating and annoying as anyone else. Any cyclist with a better bike than you. Any cyclist who has more bikes that you. Any cyclist who overtakes you on a hill and says ‘jolly nice day’ pretending not to be even out of breath, when you know they are on the verge of collapsing when they get round corner. 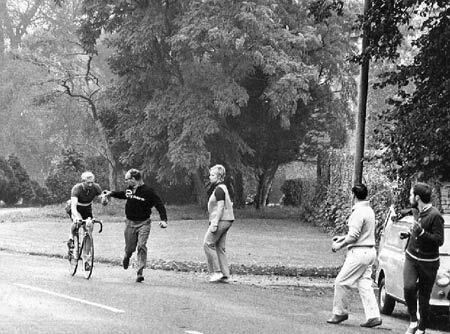 Any cyclist who is faster than you. Any cyclist who weighs less than you, despite eating more cake. 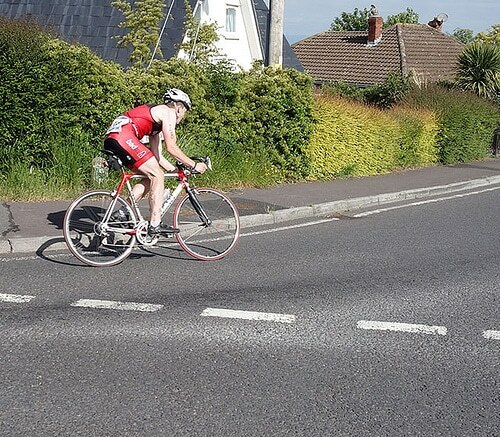 Any cyclist who pretends to never do any training, but still manages to do a 200Km sportive in sub 6 hours. Anyone who starts an unofficial commuting race when you don’t want to get involved in such a petty unimportant thing. Anyone who beats me in an unofficial commuting race. But, this is a more detailed list. It’s the middle of winter and most of your clubmates are happy to settle for some steady winter miles with the odd teashop thrown in. However, the winter racer will turn up on his £3,000 carbon fibre mike (sans mudguards of course) and insist on sprinting for every road sign or these days invisible strava segments. The funny thing about the winter racer is that when the real racing starts in the middle of summer, they tend to evaporate or fail to race very quickly. Winter racers for the times which don’t matter. 2. The Tester who bores everyone rigid. 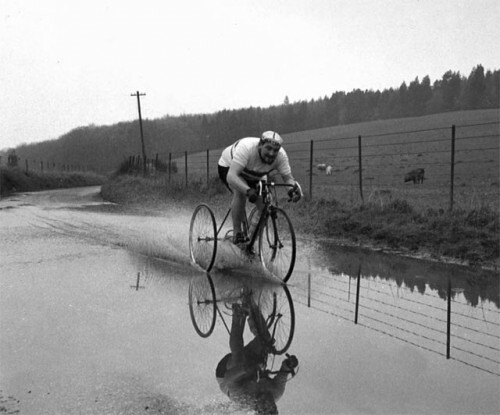 (Tester = time triallist). Time trialling can have a tendency to encourage a sort of obsessive behaviour. In particular, some testers will take any opportunity to regale you with their long history of their personal bests. In the old days you could settle for listening to pbs and perhaps the advantage of fixed wheel over gears, but these days we have power figures, and even CdA stats to throw in the equation. For every pb, there is now also a power pb. Not only will you hear all the times done, but also how much faster he could have gone, should power and optimal CdA be thrown into the equation. Maybe it is not fair to call these class of people cyclists – but they are certainly guilty of creating a bad image for all the other cyclists.. Urban warriors treat the road as an obstacle course. Red lights and one way signs are only part of the street furniture – something to be admired for their aesthetic beauty rather than being signals of when to stop. The urban warrior will charge along pavements and shout at anyone with the audacity to suggest he might have been in the wrong. The worst thing about the Urban Warrior is that every-time he gets on a bike, he spawns another 100 angry letters to the Daily Mail – ensuring cyclists are viewed with the same disdain usually reserved for slugs in a lettuce patch. It was the headwind, sidewind, wrong bike, wrong choice of gears, too hilly, too early in the season, too late in the season, too hot, too cold, old war wound…. No matter what happens, Mr Excuses will always come up with a long list of excuses for why he didn’t do better / ride further. After listening to Mr Excuses, you really feel he could win the Tour de France, if only he wasn’t so cursed with bad luck and unfortunate mishaps. Of course, every racing cyclists is guilty of delving into the world of excuses. The ‘super cool roadies’ (see below) love to make fun of triathletes. The ‘stereotyped triathlete’ will turn up on a ride of road racers only to make several mortal sins. Turning up with tri bars. Tri bars are the quickest way to lose any self respect you may have with a roadie crowd. 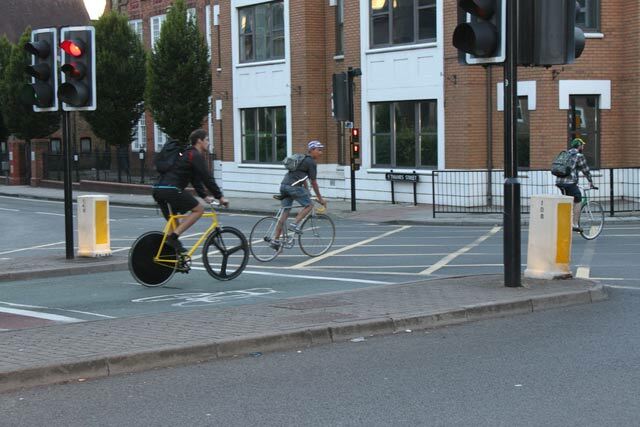 I mean real cyclists don’t make life easy for themselves…. Not riding in a straight line. Turning up with trainers not cycling shoes. Turning up in kit which exposes 85% flesh. Road cyclists just don’t wear those G string shorts and vests. Inability to move through properly on a chain gang. To be fair to triathletes, I should also add the irritating type of cycling blogger who always resorts to predictable triathlete stereotypes to gain a few cheap laughs on his blog. 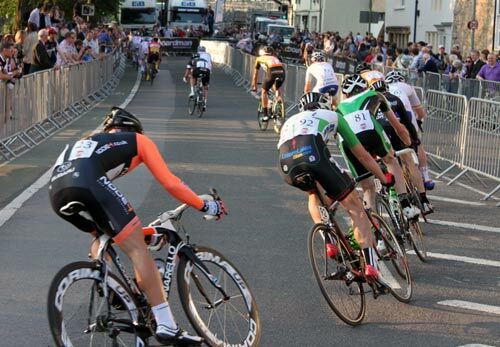 Road racing is the ultimate pinnacle of cycling sport, so any other discipline is to be looked down on. Roadies are the top of the pileThe super cool roadie particularly enjoys sneering at testers / triathletes / audax riders. The super cool roadie is usually a 3rd or 2nd Cat who can’t quite make it in road racing but at least knows his branch of cycling is the most prestigious. The super cool roadie may well have retro cycling tops from the 60s and 70s. The talker never actually rides his bike. He spends hours reading through cycling magazines finding ways to reduce the weight on his bike worth £3,000. He knows more about cycling than anyone else; his bike is immaculate and the envy of many. But, the problem is he spends so long improving his bike and talking about cycling, he never actually gets round to riding. If he ever does ride, he will come to the conclusion that to go faster he just needs to buy the latest campagnolo 11 speed groupset, and this is where he has been going wrong. The helmet advocate is either passionately for or against. Whatever you talk about related to cycling, they will somehow bring it back to the helmet issue. The pro helmet advocate will always tell you, on every ride, the five times their life has been saved because they were wearing a helmet. Although it is debatable whether a helmet really saves your life when you fall on your backside, it’s best not to argue with the pro-helmet lobby. The anti helmet lobby will try to tell you that wearing a helmet is actually very dangerous and if people didn’t wear helmets there would be a lot less fatalities in cycling. Although this logic is somewhat questionable, it’s best not to argue. The old timer will never fail to mention how much better things were in the ‘old days’. No matter that bikes weighed 15 kilos and punctured twice as often. Things were much better in the old days, not least because everything was in black and white. (old photos) Be warned, sometimes you can get a combination of ‘old timer and tester’. You can be in for a very long monologue about the time of setting pbs, back in the day when black socks and bicycle bells were compulsory. It’s starts off very interesting, but after 40 minutes pinned to a chair, you can begin to lose the will to live. 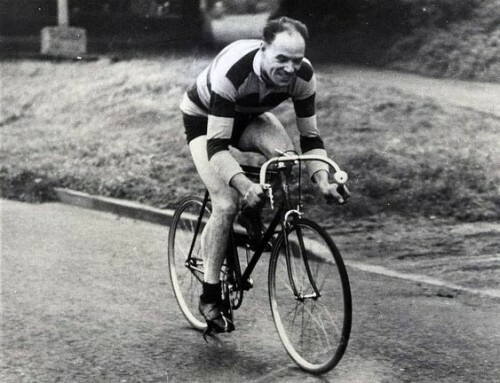 We know that in cycling’s long chequered history cyclists have doped, but it’s some of the excuses which really take the biscuit. The classic was Raimondas Rumsas who claimed the boxes of pills “were for my wife” – Rumsas let his wife spend several weeks in prison when she was caught with a car full of performance enhancing drugs. But, this doesn’t quite match the excuse from Adri van der Poel the Dutch world cyclocross champion and Tour de France stage winner who tested positive for Strychnine. – He said that his father-in-law, had served a pigeon pie for Sunday lunch, and only when he tested positive did he realise that the pigeons had been doped with strychnine. If you go out on a road, it is inevitable that you will come across inconsiderate motoring practises. There are times when it is necessary to make your presence felt so they notice you. But, if you want to stay alive, you really have to pick your battles. At the end of the day, in a collision between 3 ton SUV and lycra clad cyclist, there’s only one winner. This is why it can be irritating on a group ride when there is one cyclists determined to ‘educate’ every single passing motorist, and the whole ride becomes an exercise in worrying that any minute it’s all going to turn very ugly at any minute. Any types of cyclists you would like to add to the list? Post originally published Aug 6, 2008 on cyclinginfo. 3) Urban Warrior – I do all that, but I try not to succumb to it – it´s like having ice cream on the fridge… eventually you get to it, especially if many people are doing that. Hi Tejvan, another great blog and witty as well. I would add to your list the Sunday club riders who still ride two abreast on narrow lanes, after being told that there is a car at the back patiently waiting to come past. Talk about giving us a bad name, I end up screaming at some of ours, but their attitude is, its our club ride and we can do what we like. Cycling helmets will not do much in a crash, but they are needed to protect against minor bumps. I have a friend who works in the blood analysis dept at our hospital, and she tells me just how many people suffer very minor strokes just through a bang or bump on the head, so the next time we forget to unclip or have to stop in a hurry or the person in front starts to move off and then stops and we fall sideways, the helmet protects against that minor bump to the head.